Making bows, cockades (ornaments) and flowers with ribbons can be simple or elaborate. 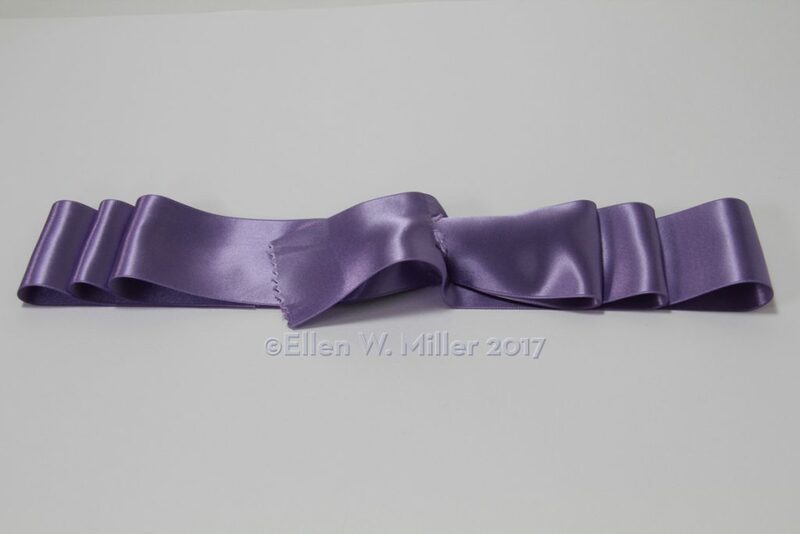 One of the wonderful things about ribbons is that they are woven with selvages on both edges, with exceptions of course; this means no raveling or hemming before you start your project. 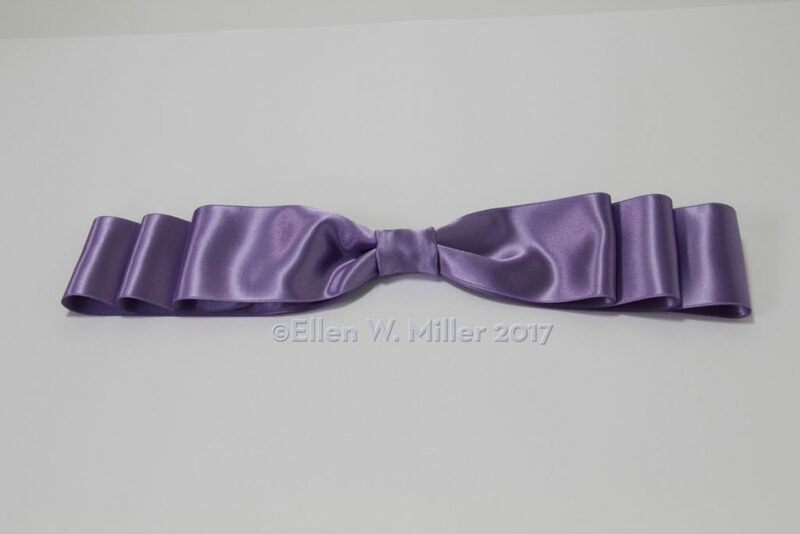 This is multi-tiered flat bow looks complicated but is surprisingly easy to make. 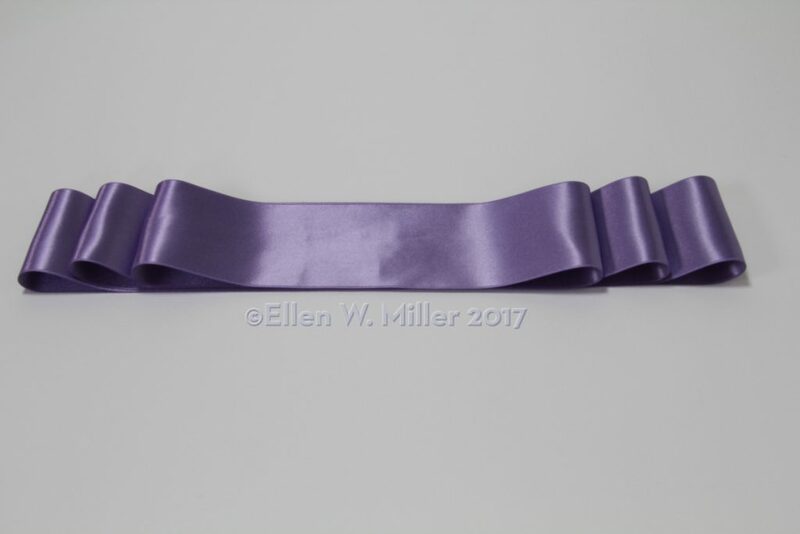 67 in (170 cm) of 2 in (5 cm) wide double-sided satin ribbon. 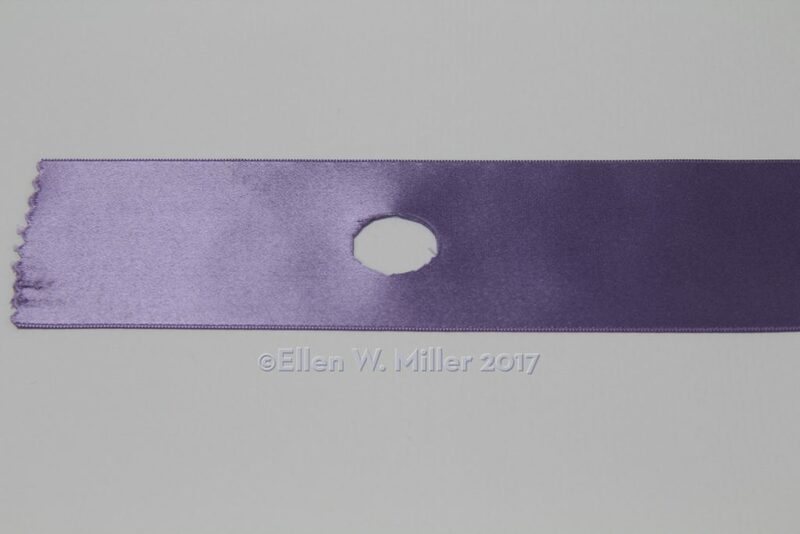 Measuring 3 in (7.5 cm) from one end, cut a hole in the center of the ribbon ¾ in (2 cm) in diameter. Fold the ribbon in a stack, with the hole in the bottom layer. The bottom layer should measure 11 in (28 cm) long, the middle layer should be 10 in (25 cm) long and the top layer should be 9 in (22.5 cm) long. Tuck the end of the ribbon under the top layer to hide the raw end; it should reach to the center of the loops. Pick up one end of the stacked loops and thread them through the hole in center of the ribbon. 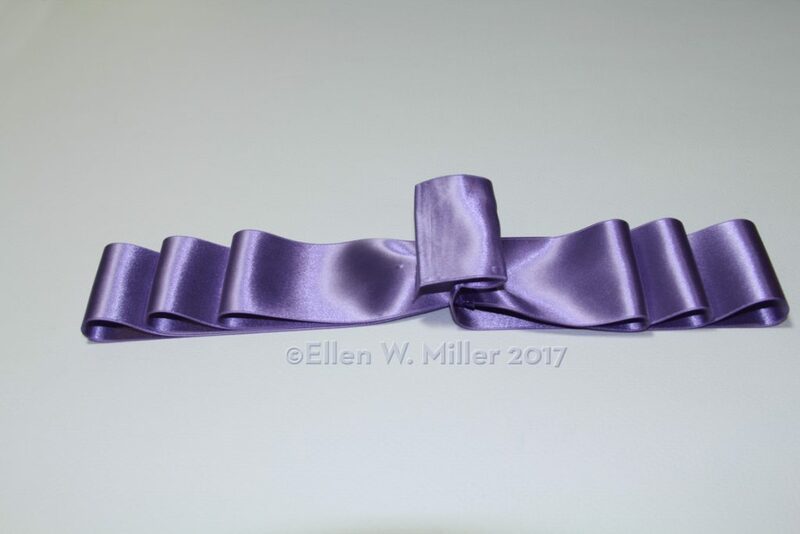 The beginning tail of the ribbon will be on top. Fold the exposed tail to cover the raw end and the hole, pleating the tail if desired. 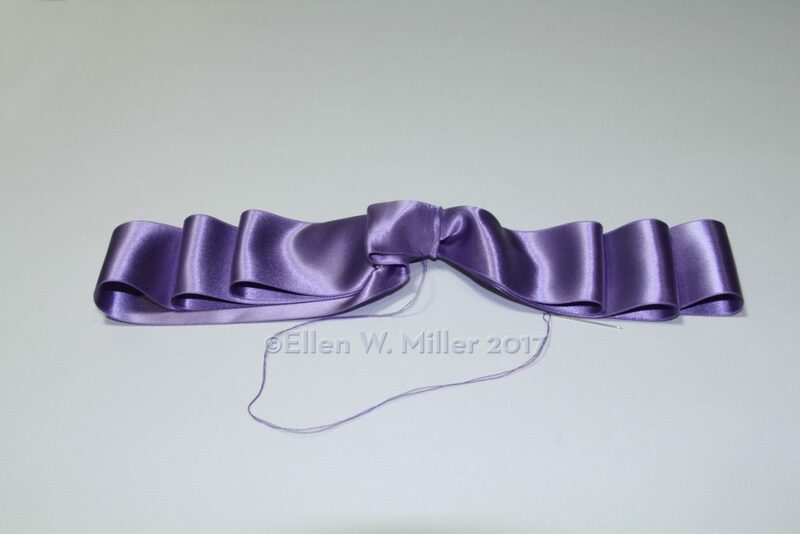 Pull the selvages of the ribbon to the wrong side to form the center knot. Sew the selvages together on the wrong side of the bow. Secure the large loops to the center knot with small stitches.